From New York Times bestselling author Mariah Stewart comes a new chapter in her celebrated Chesapeake Diaries series, featuring her signature “rich characterization, charming setting, and a romance you’ll never forget” (Robyn Carr, #1 New York Times bestselling author). Architect Cassidy Logan has sworn off good-looking adventurers. Newly divorced, she’s focused on building ecologically friendly, historically accurate homes on the Chesapeake Bay for her father’s construction company. Traveling to Cannonball Island—where there has been no new construction in nearly one hundred years—Cass is sensitive to the heritage of the island, and has come up with plans so perfect she’s determined to buy a home for herself. Even the fact that Owen Parker—a local who she dismisses as a lightweight and a player—seems to be everywhere isn’t enough to deter her from building her dream house. Owen Parker is and always has been sinfully handsome and wickedly clever, a magnet for mischief as well as girls. He’s a rolling stone, going and doing whatever appeals to him, from flying a mail plane in Alaska, to working on a cattle ranch in Australia, a shrimp boat in Louisiana, and surfing and diving in Costa Rica. When an old friend offers him a job salvaging a sunken ship on the Chesapeake Bay, Owen gladly accepts. Something’s been telling him it was time to head home to Cannonball Island, and a job is as good an excuse as any. And he’s totally smitten by the pretty architect on the scene, but it seems he’s finally met a woman who’s immune to his charms. Sooner or later, Owen will have to face the reason why he always runs, because this time, leaving just might be harder than staying. I hadn't realized that this was eleventh in a series when I found it on NetGalley. I just got curious about the story after reading the blurb and requested it right away. Thankfully, each book in the series focuses on different characters so this one, like the others, can be read as a standalone. 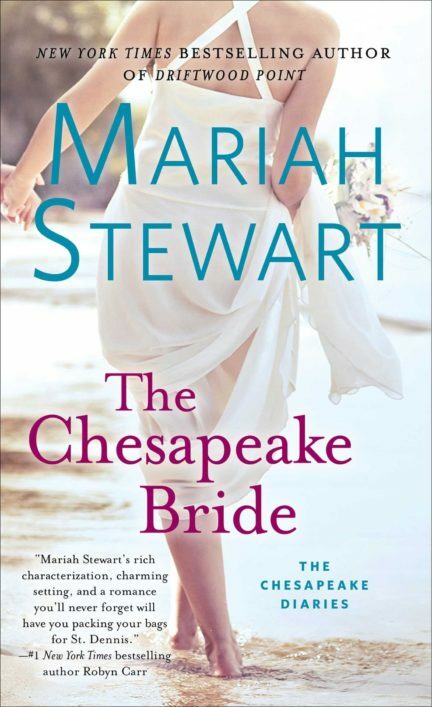 So what can I say about The Chesapeake Bride? Well, above all else I definitely enjoyed it. The story is rich in history and has wonderful descriptions of a coastal setting that had me breathing in every scene. I also really liked each character, not just the main. While Cass and Owen were both very interesting to read about, I fell in love with Owen's grand-aunt Ruby and his little sister, Lis. I liked how loving and supportive the family and members of the community were. Everyone knew everyone. That in itself was simply delightful. And whenever Ruby or Grace got to talking about a family or a particular spot on the island, it always warmed my heart. In a way, they brought life back to things and you could really feel the love and knowledge they possessed. As for the main characters, Owen and Cass, I thought their encounters were cute and often times informative. Cass was still moving on from a divorce so it was understandable that she'd want to focus solely on the development project and fought the idea of having a relationship with Owen, especially when he was a known player and adventure seeker that never stuck around for long. Nevertheless, the subtle ways Owen had gotten her to warm up to him was adorable and he certainly made my mouth drool reading about his cooking skills. Their time together didn't always end well, with Cass being headstrong and her drive to preserve the history of Cannonball Island not always being taken in a genuine way. But I was glad that Owen cleared up his misinterpretations pretty quickly and that the two were able to better connect. Honestly, though, the romance aspect wasn't a huge part of why I liked the story so much, and I didn't care for the last minute drama involving Owen's ex. What I loved more than anything else was the island and its history. The details truly made me want to move there. And I loved that toward the end certain things had resolved for the better. With The Chesapeake Bride being such a good read, I'd love to catch up with the rest of this series. I definitely see why so many people love Stewarts' storytelling. Mariah Stewart is the award-winning New York Times bestselling author of more than thirty novels of contemporary romance and romantic suspense. 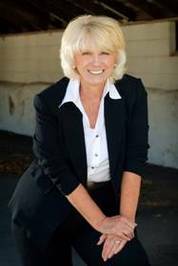 A native of Hightstown, New Jersey, she lives with her husband and their dogs amid the rolling hills and Amish farms of southern Chester County, Pennsylvania, where she gardens, reads, and enjoys country life. I passed by this the other day, cuz it was part of a series. *kicking self* I like they can read as standalones. I think I would really like this one, and I guess I do need to find the others in the series too. I was offered this book but didn't take it only because my tbr pile is really out of control. This sounds like a great story so I might have to pick it up later. Glad you enjoyed it! I haven't read Mariah Stewart before, but this sounds like a sweet read, despite the ex!